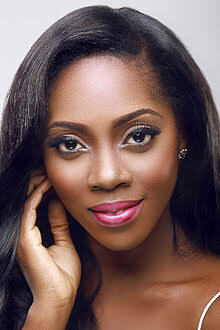 Tiwa Savage , has stunned many of her fans after revealing that she sometimes feels depressed by low self-esteem. The Mavin queen, also revealed that she only looks beautiful by the help of make-ups and push-up bras. Stating that sometimes she is intimidated by the glamour on social media. “I get a lot of messages from young girls who are depressed with low self-esteem because they don’t feel pretty like the social media girls they see every day and my heart breaks because I feel like that too sometimes. “We are all in this together, I’m not perfect, and not the prettiest, sexiest, richest but I’ll remain kind and seek after God’s heart because none of the others matters to Him. “Ultimately God’s approval is all we need”, she said. She added that contrary to public belief, she hardly sees herself as a pretty woman. “Some people are born beautiful, flawless skin, long curly hair, fair skin but some of us grew up looking at the world’s definition of beauty and found ourselves not fitting into that standard but with the help of makeup, filters and push up bras we feel a little closer. I think everyone should be proud of their self because everyone is beautiful is their own ways, God neva made mistake.